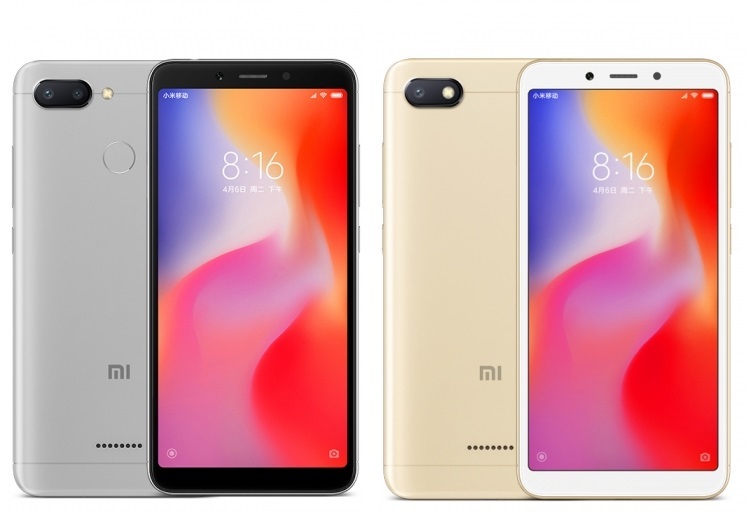 March 05, 2019: A few days ago, Xiaomi announced that the Redmi 6 was receiving a new software update to MIUI 10.2.5.0.OCGMIXM, which installs a new Android security patch, fixes bugs and improves system stability. The airborne update is now available for all Redmi 6 users and if it hasn’t yet arrived, check out the table below for the download links needed for manual installation. We also have a guide on how to install MIUI 10 on your Redmi 6 down below the table, so feel free to check it out. January 28, 2019: Users of the Redmi 6 have new MIUI 10 updates rolling out as of this writing. The updates bump the beta software version to 9.1.24 while the stable version, whose full changelog isn’t available for now, jumps to version 10.2.4. Both come with plenty of bug fixes, optimizations, and general system stability improvements. Details of the full changelog for the beta update are captured here, as for the download links, find them in the table below. You can use the guide at the bottom of the post to install the MIUI 10 update on your Redmi 6 device manually. 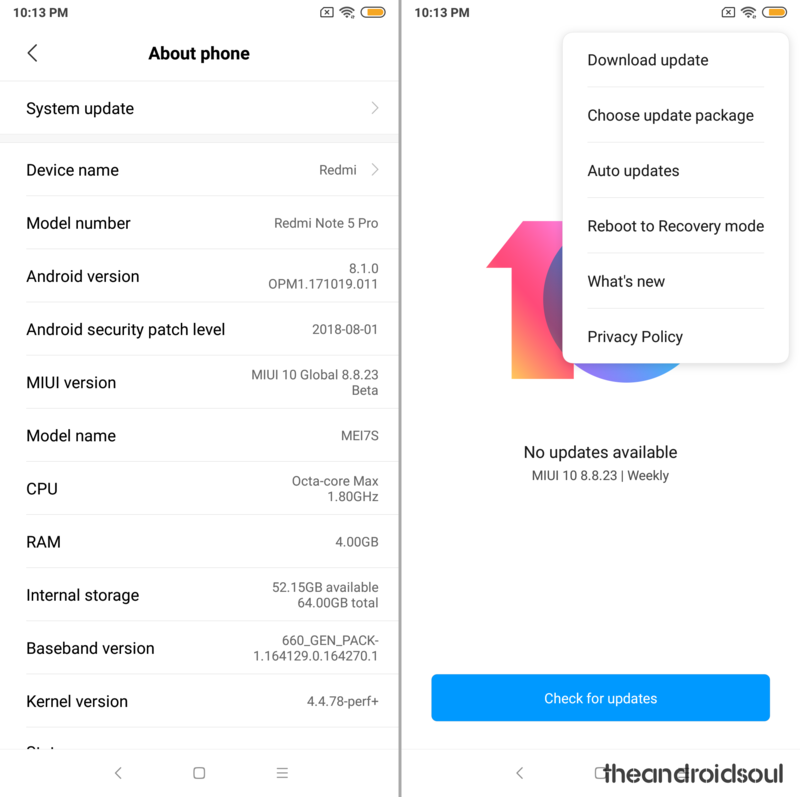 January 19, 2019: The Redmi 6 is receiving a new MIUI 10 beta update with version 9.1.17. The update started rolling out a few days ago, but it was limited to a few units. As of this writing, more users are receiving the OTA download, but if you haven’t seen it yet, we have the download link in the table below. You can also check out the full changelog to see what the update adds to your Redmi 6. Also, we have a guide on how to install MIUI 10 on your Redmi 6, so feel free to consult it. Owners of the Redmi 6 can now download and install the latest MIUI 10 stable update on their handset. This version installs the newest iteration of the MIUI 10 on the global Redmi 6, an update that brings new AI-powered features, natural sounds, and full-screen mode that takes after Android Pie by using gestures in place the traditional Home, Back and Recents buttons. Xiaomi launched the Redmi 6 with Android 8.1 Oreo running the show and looking at history, we can agree that the phone will be among the devices to be updated to Android 9 Pie. Given that the Redmi 5, the device’s successor, has yet to see an update to Oreo (as of September 2018 following its January 2018 global launch), it’s likely that the wait for Pie could take ages. On the brighter side, the presence of Project Treble should help speed things up a little bit, meaning Pie may still arrive on the Redmi 6 in early 2019. Only time will tell. Download the recovery update file from the table above. Transfer the update file to your Redmi 6 if you downloaded it on PC. In case the above method doesn’t work, know that you can use Method 2 below to install using the fastboot method. Select your preferred MIUI ROM version from the list above and download the corresponding file. Be sure to check if the suffix of the ROM file is .tgz. If not, rename it to .tgz. Turn off your Redmi 6 and press the Volume + Power buttons simultaneously to enter into Fastboot mode. Connect the device to your PC using a USB cable. When the installation is done, open MiFlash.exe to run the MiFlash software. In its address bar, paste the folder path of the ROM file copied in Step 5. Click on the yellow circled-out button to refresh and MiFlash will automatically recognize your device. Sit back and watch the progress bar inside MiFlash turn fully green, implying that the new system update has been successfully installed on your device. Your device will automatically boot to the new software version.